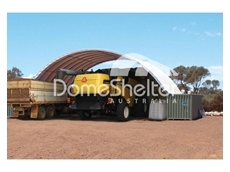 Established in Western Australia, DomeShelter has been providing durable outdoor protection products for over 20 years. The company offers a wide range of shelters, dome shelters, tarps and covers for heavy uses, portable sheds and container shelters. allGal provide a range of steel frame buildings, ideal for rural applications such as garaging, affordable housing, hay sheds, barns, workshops and machinery storage.